Post breakfast in the morning, pay a visit to the Kamakhya Temple, a major Hindu pilgrimage site. One of the famous Shakti peethas in the North East India, Kamakhya temple is visited by a million devotees during the Ambubashi festival. Later, hit the road to Cherrapunji (170 kilometers). It is the region with the highest rainfall. On the way, visit the Borapani Umiam Lake. Stay overnight in Cherrapunji. In the morning, set off to visit the Krem Mawmluh cave in Cherrapunji. 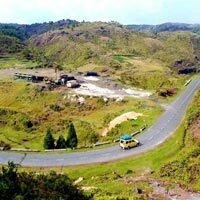 It is located around 0.5 kilometers west of Cherrapunji, next to the small village of Mawmluh. It has five river passages with impressive magnitude. The length of the cave is more than 7 kilometers. Besides, you will also visit the waterfalls in Cherrapunji. Stay overnight at Cherrapunji resort. Post an early morning breakfast, enjoy a leisurely walk on the Double Decker Living Root Bridge, designed by the indigenous Khasi Tribesman. Later, enjoy a picnic lunch on the bridge and return back to the Chera Tourist Resort. 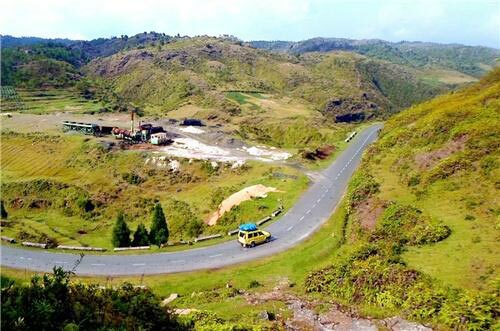 In the evening, treat your eyes with the awe-inspiring views of the Khasi hills and the Bangladesh plains. Overnight stay at Cherrapunji resort.